Hearts for Hearts Girls are 36cm all vinyl dolls from the USA. They have been designed to encourage today’s girls to understand what life is like for girls in other parts of the world and also how they might help people less fortunate than themselves. 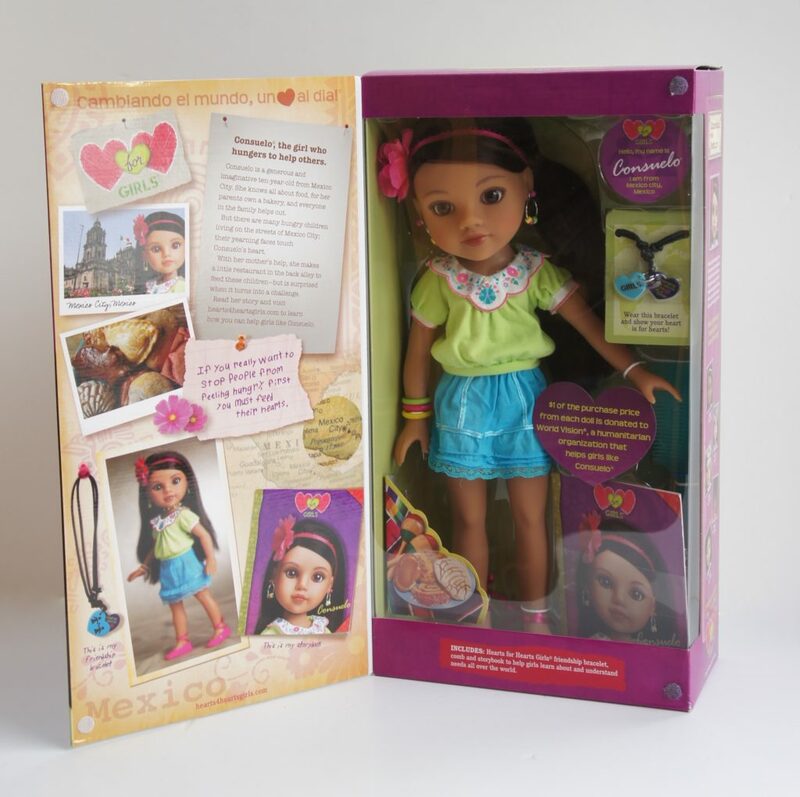 Each doll arrives in a highly informative box that shows the face of the doll within on the front of the box and the front flap opens to show the doll and accessories inside. On the underside of the flap is lots of information about the particular Hearts for Hearts Girl and when the doll is pulled out there is a map shown beneath so that the girl can see where her doll lives in the world. 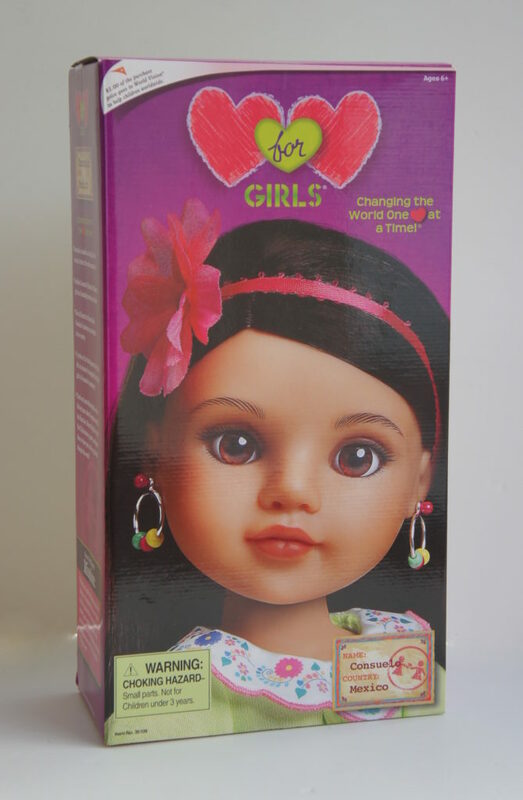 Each of the dolls arrives with a blue comb in the box, a child sized bracelet with two hearts, one in various colours that says ‘GIRLS’ and the other in black saying ‘Changing the world one heart at a time’. There is also a story book describing where the Hearts for Hearts Girl lives, details of her family and how she has given help to less fortunate people living in her locality. 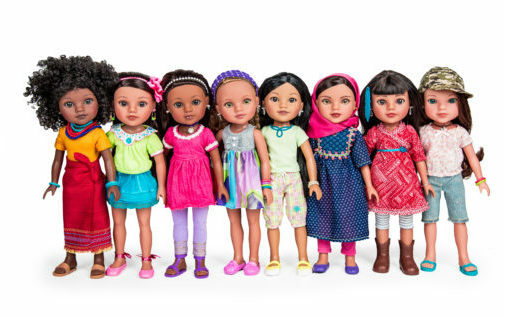 Through play these dolls will open the eyes of our girls to how others live and encourage them to become agents of change to make the world a better place. 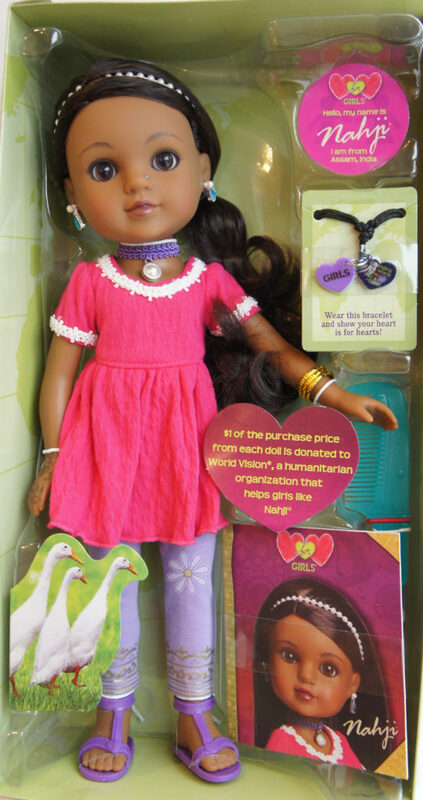 For every doll purchased $1 is given to a Christian humanitarian organisation called World Vision which assists girls and their families around the world to thrive, whether by providing mosquito nets, paper and pencils for schools in Mexico or food aid to the poor in the USA. The dolls are made from phthalate free vinyl and comply with EU Toy Safely Legislation EN71. They have articulated joints so the limbs can be moved around in lots of directions and even the head tilts. Their eyes are large and fixed, with painted eyelashes on top and bottom eyelids. 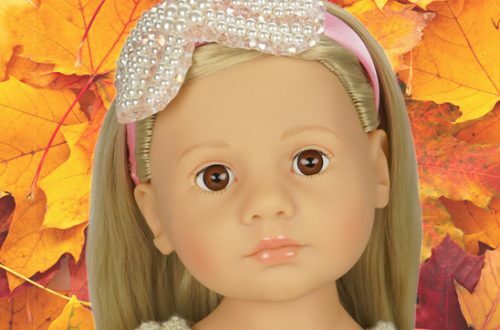 They also have carefully painted eyebrows, healthy pink cheeks and full natural coloured lips. Their hair is very long, beautifully soft and rooted. All of their clothes are based upon traditional dress of the area in which they live and I just love the details including all the jewellery. 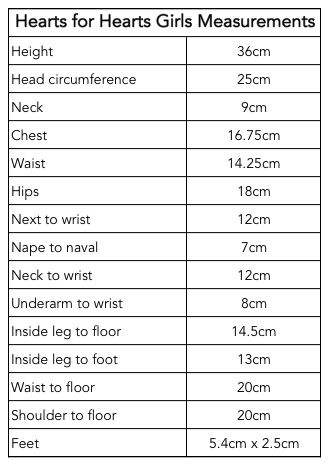 Here are all their measurements in case you are a bit of a seamstress. The launch of Hearts for Hearts Girls in Europe was exclusive to Petalina, but now you will find them at Un Bonheur De Colibri, our friends in France. Shipping is with DPD and when I last checked was £12, but for that you can order quite a few dolls. You will also find Hearts for Hearts Girls on Amazon but for very silly prices, and a few are available on eBay but mostly posted from the US. There are some second hand too. Since the launch of the original four dolls, further dolls have been added to the range. They really are the most beautiful dolls and the quality is amazing as well, ranking with Corolle. In fact, we sold an awful lot of these beautiful girls and there wasn’t one single problem so we highly recommend. 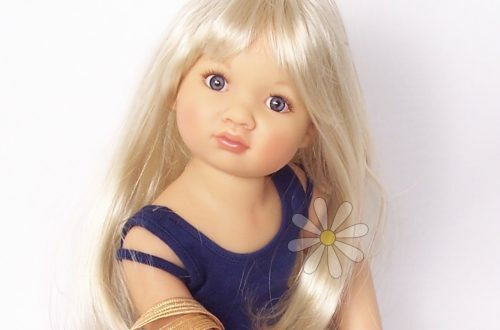 P.S How I wish this doll were the same size as my Newberry! Hello Louise, sorry, I’m not sure about the pricing on Bonheur. Do email Emmanuel and he will be very happy to help you. Please mention Petalina when you do. The Hearts for Hearts are beautiful. Such good value for the quality.